A bite of fresh crab or crayfish can come with an unintended surprise: a parasite. Cooked crab should be free of any problems from this parasite. But crab that isnt cooked properly could possibly have a nasty parasite called Paragonimus. Paragonimus is a parasite that is a flatworm, also called a fluke. They are often about 10mm long and 5mm wide (and maybe 4mm in thickness). After being eaten it can travel to other parts of the body and cause illness. The illness can include a low fever, fatigue, cough, abdominal pain, muscle aches that occur 2-15 days after eating the parasite. It can also cause more serious illness elsewhere in the body. The parasite can travel to other organs and cause an infection in specific parts of the body, especially the lungs, but also rarely the liver or heart. After traveling to the lungs, the parasite can cause mild bronchitis or it can even lead to coughing up blood, like in tuberculosis. It can also, more rarely, travel to the central nervous system and can even be found in the meninges around the brain, causing meningitis. It can be fatal in rare cases. Over 20 million people are believed to be infected worldwide. Most cases are found in Asia, particularly in the southeast Asia, but it can also be found in Africa and the Americas. Southeast Asia, especially Laos, Thailand, southern China, and Vietnam see many of the cases worldwide, but there are occasional cases in the US. 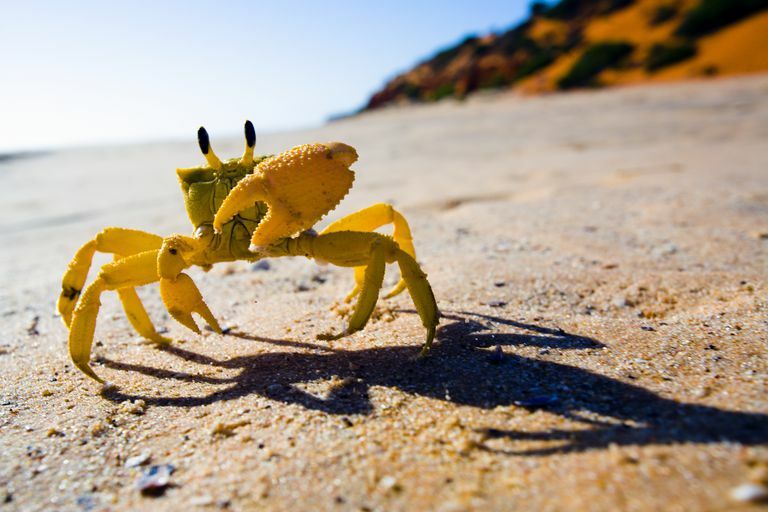 Crabs can also be imported from high-risk areas. Different types of Paragonimus are found in different locations. Paragonimus westermani is the most common and is found in Asia (Japan, Taiwan, Thailand, Philippines, China, Laos, and Vietnam, etc) as are Paragonimus heterotremus and Paragonimus philippinensis. There is Paragonimus kellicotti, Paragonimus caliensis, and Paragonimus mexicanus found in the Americas. Paragonimus africanus and Paragonimus uterobilateralis have been seen in western and central Africa. Cases sometimes occur in the United States particularly in the midwest and southern states. These are due to Paragonimus kellicotti. This can be from eating undercooked crayfish, such as some have done as a dare when out river rafting. The parasite can be found in the Mississippi River area. Cases have been found particularly in Missouri. Oftentimes the infection isn't diagnosed quickly because it's rare and no one thinks of it. The infection is often mistaken for Tuberculosis. A standard test for TB ("Acid Fast Staining" of sputum on slides) was thought to destroy the Paragonimus eggs making it hard to detect the parasite as patients are often tested for TB. It turns out the eggs can be found more often than thought through TB tests. It can be diagnosed by finding eggs in sputum samples (or in stool samples if the eggs are coughed up and swallowed). Tissue samples can also be sent to a pathology lab. There are also antibody tests through the CDC (or some other labs) which can identify some Paragonimus infections and exposures. There are pills that a doctor can prescribe to treat this infection. Treatment can be quite short. Infections can last for 20 years. Raw or undercooked freshwater crab or crayfish can contain Paragonimus. This includes crab and crayfish that have been marinated to "chemically cook" (but not actually cook) the crab, such as with vinegar, wine, or brine. These preparations without actually cooking the crab with heat are not enough to stop this parasite. This might happen if ceviche was made with uncooked crab. It can also come from "drunken crab," a dish prepared with wine and without cooking. It can also come from fresh crab juice. Sushi, though, is generally prepared either with imitation crab or with cooked crab pieces and is less likely to include true raw crab. Sometimes crabs used in traditional medical treatments are not cooked and can also spread this parasite. For instance, fresh crab juice was thought to be good for measles, but could actually spread this parasite instead of stopping measles. Others have eaten fresh crab or crayfish as a dare and have gotten sick afterwards. The FDA advises cooking crab or crayfish to 145 F (or 63 C). That means that the internal temperature of the crab/crayfish should reach 145 F (63 C). The meat should be opaque and pearly. Sometimes food is frozen to avoid parasites. It should be noted that flukes, like Paragonimus, are more resistant to freezing than other parasites. This means eating crab that was frozen but not cooked would not be expected to be as safe as it may be with other food that can have parasites. Is Paragonimus Only Found In Crabs And Crayfish? The parasite can actually be found in other animals; many of which are not eaten. This includes tigers, leopards, mongooses, opossums, monkeys, cats, and dogs. They can also be found in wild boars. If eating any other animal that can be affected, like pigs and boars, it would be best to cook this meat as well. But that's always good advice. The parasite doesn't spread from one person to another. If someone gets sick with it, you would get sick only if you had been eating food contaminated with the same parasite. The adult parasites live in the lungs in people or some other animals. They lay eggs which are coughed up and out or swallowed down and spread in stools. These eggs then reach freshwater where they can then end up inside of various different snails, develop further, and then spread into crabs (or similar crustaceans). Eating these crabs then spreads the infection back to people (or other hosts).